When it comes to London having an infinite amount of interesting and unique things to do, it's hard to know where to start. However, some places are clear frontrunners for things to do, even if it takes a bit more of an effort to get there. 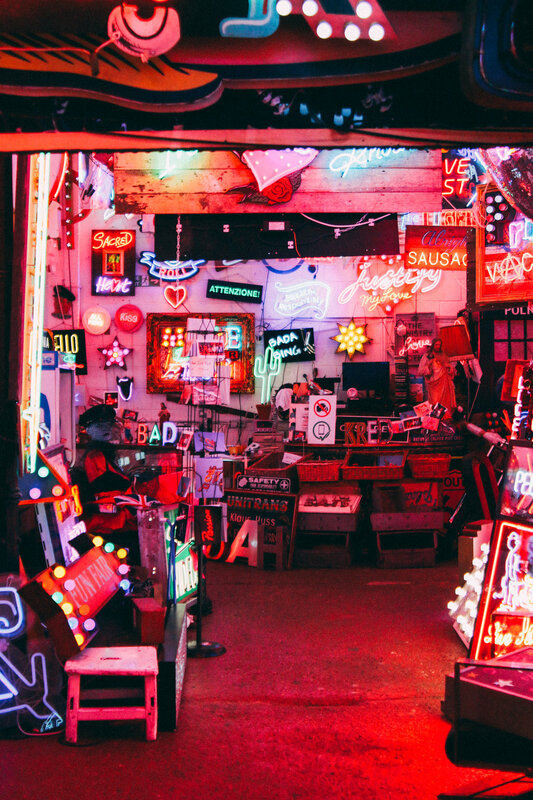 For instance, one of the most intriguing places in London has to be God's Own Junkyard. 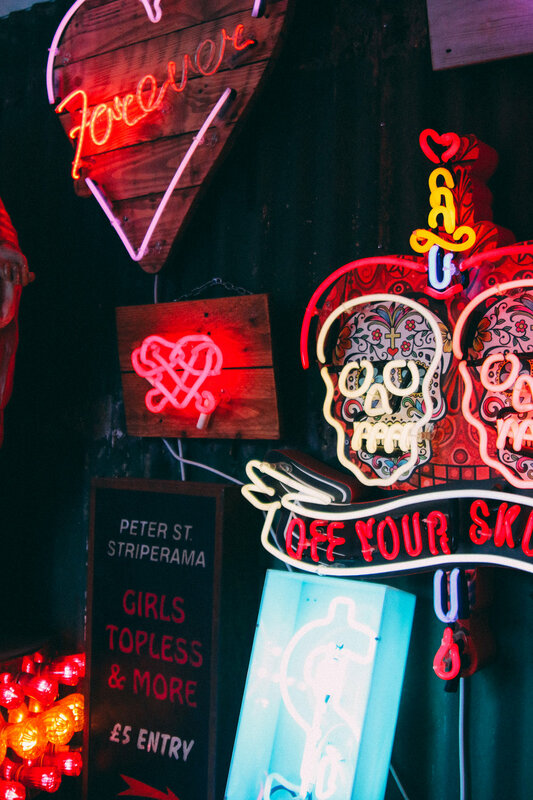 This neon sign gallery is a bit of a commute out of central London. It sits in Walthamstow, which is part of greater London and in Zone 3 (if you're going by Underground terms). If you take the Tube to Walthamstow Central, you can then take a lovely 15-minute walk through the town to get to your destination. On your way, you'll pass through some very English homes and can even stop into the free Vestry House Museum exhibition if you want to learn a little more about the town. 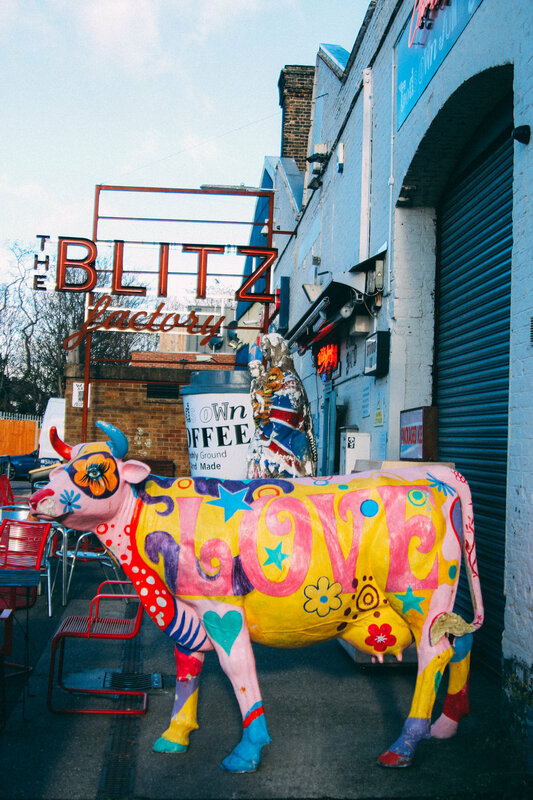 And upon your entrance to the junkyard, you'll be greeted by some funky artwork and a cow. And then there comes the fun part; the art gallery itself. Inside you'll find the wackiest and wonderous of neon signs. 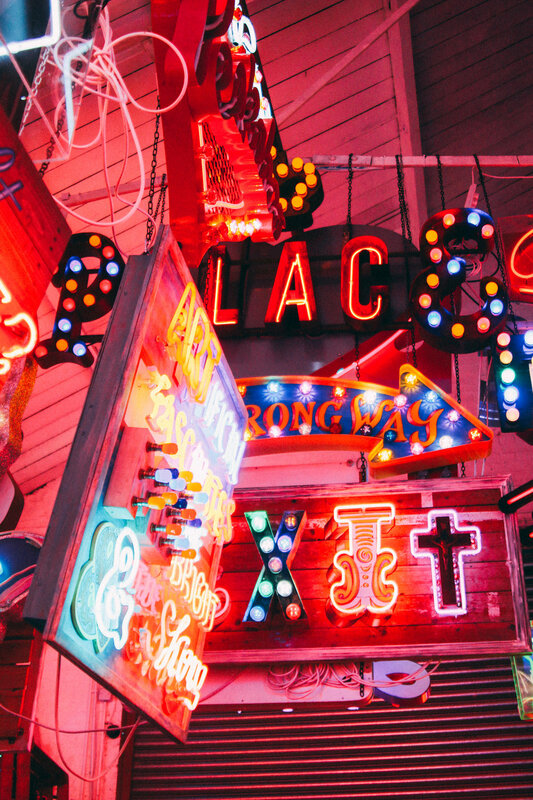 It's truly a playground for those who love lights and fun sayings immortalized in neon form. And better yet, because the owners know you came all the way out there just to see this place, there's a cafe and bar inside to relax in. Things to know: You can't shoot with DSLR cameras inside, only mobile phones. I didn't see the sign so I got some shots before being told to put it away. It's also only open on weekends from Friday to Sunday, so don't make the mistake of trying to see it on a weekday. It's a very fun place to explore, but obviously be careful not to knock anything over because it may seem like a "junkshop," but it's really an art gallery in disguise. Also, it's the perfect place for an impromptu photoshoot, so bring your best look and a friend to hold the camera, because I tried to set my phone on a ledge to get shots, and while it worked, it would've much more fun with a companion.